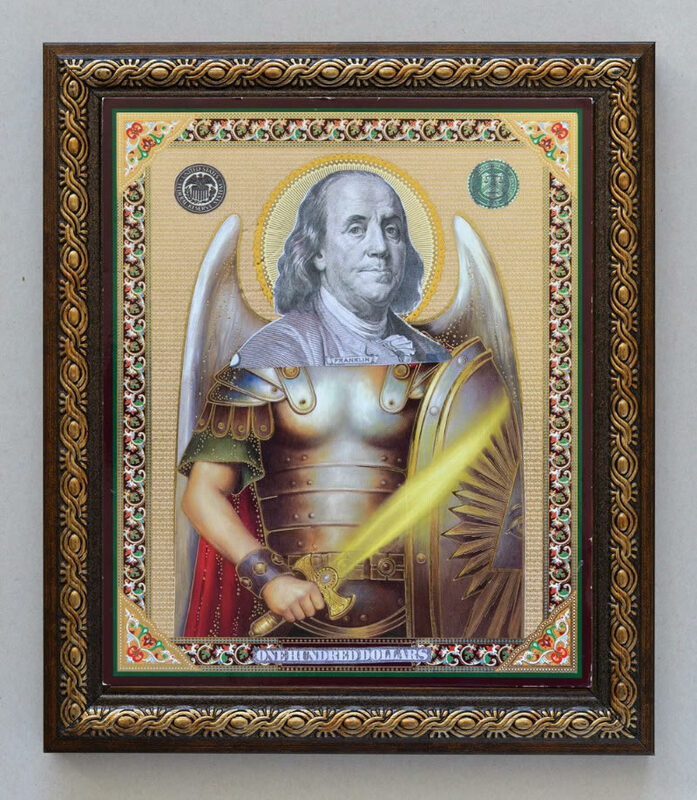 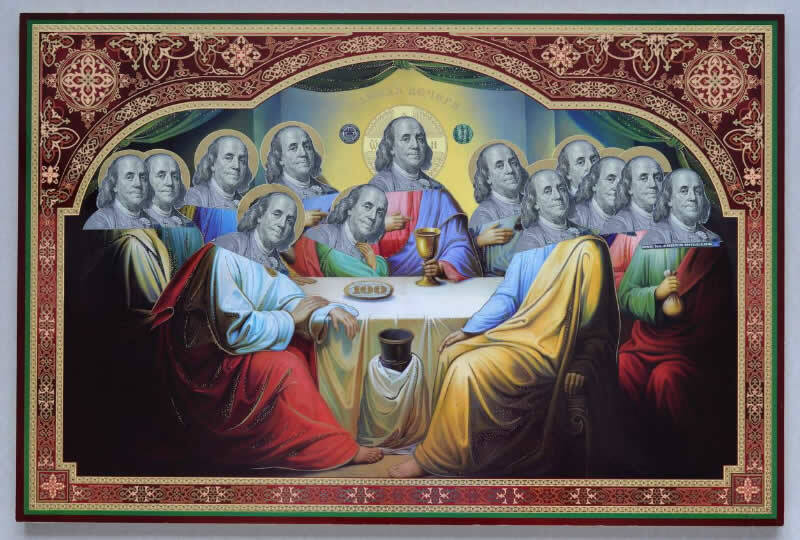 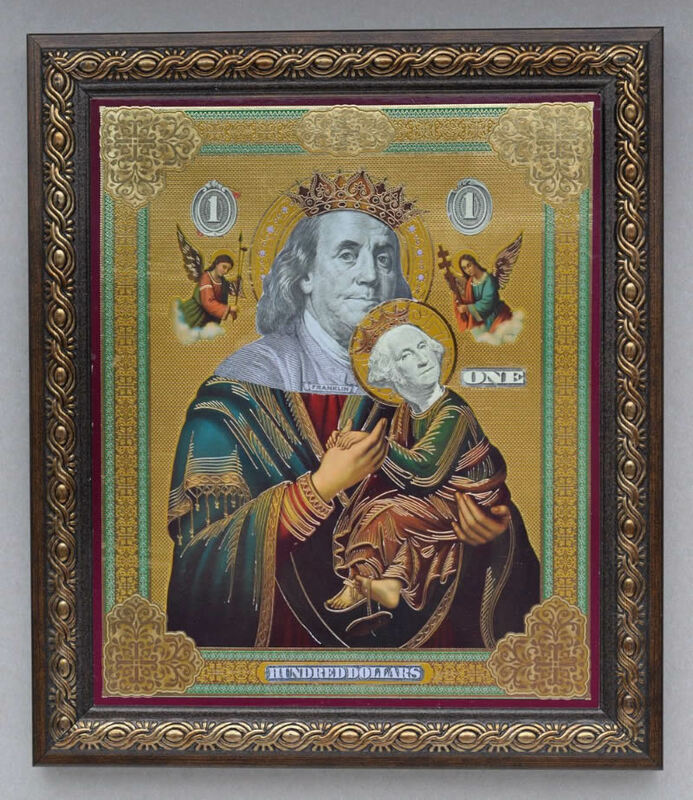 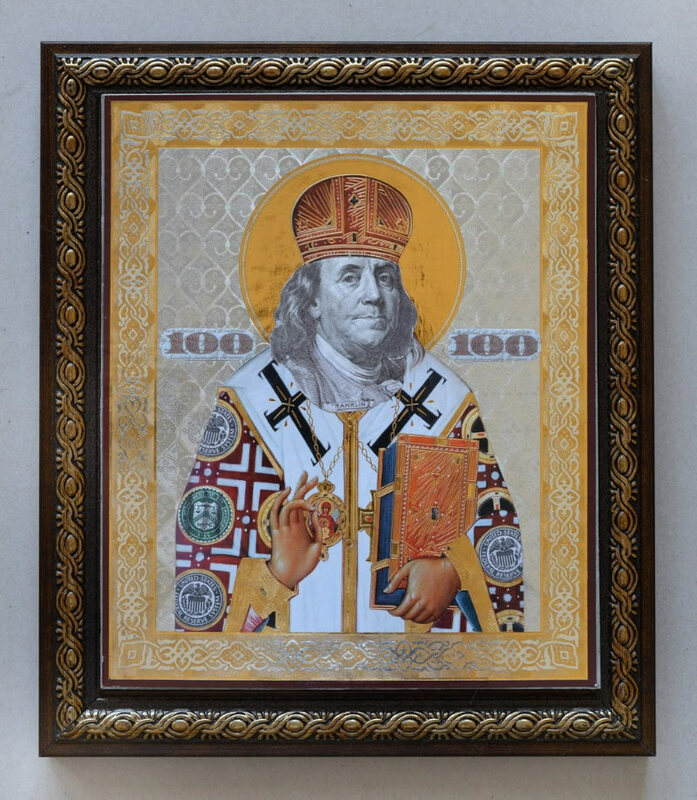 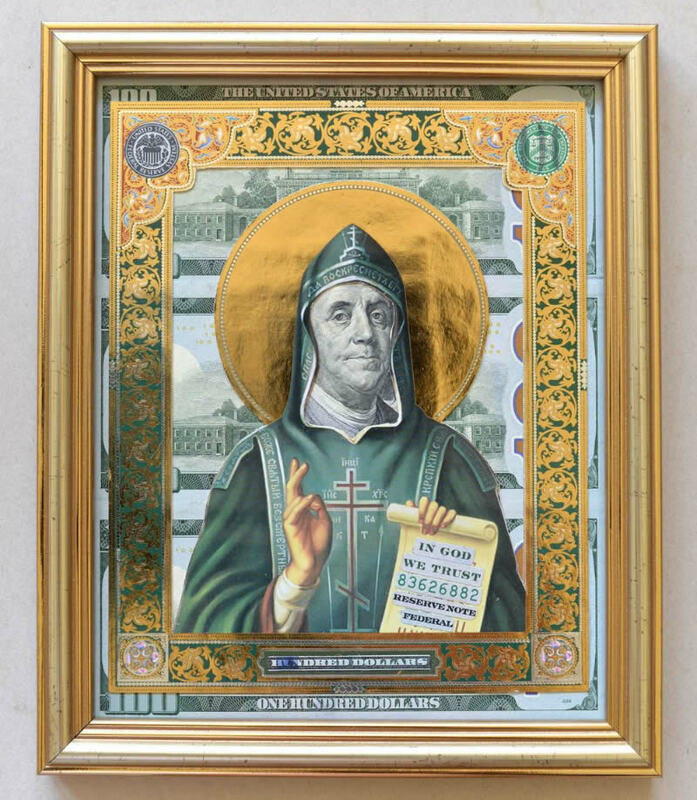 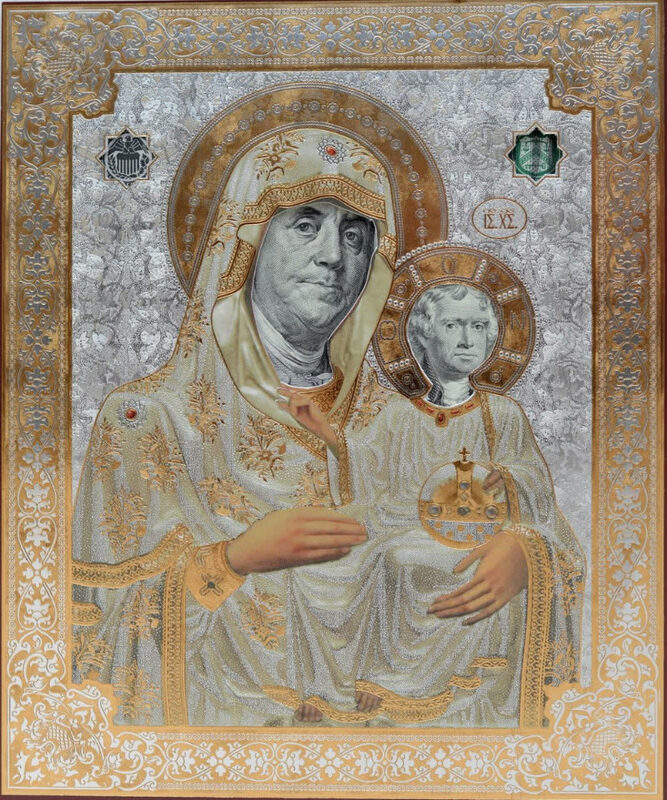 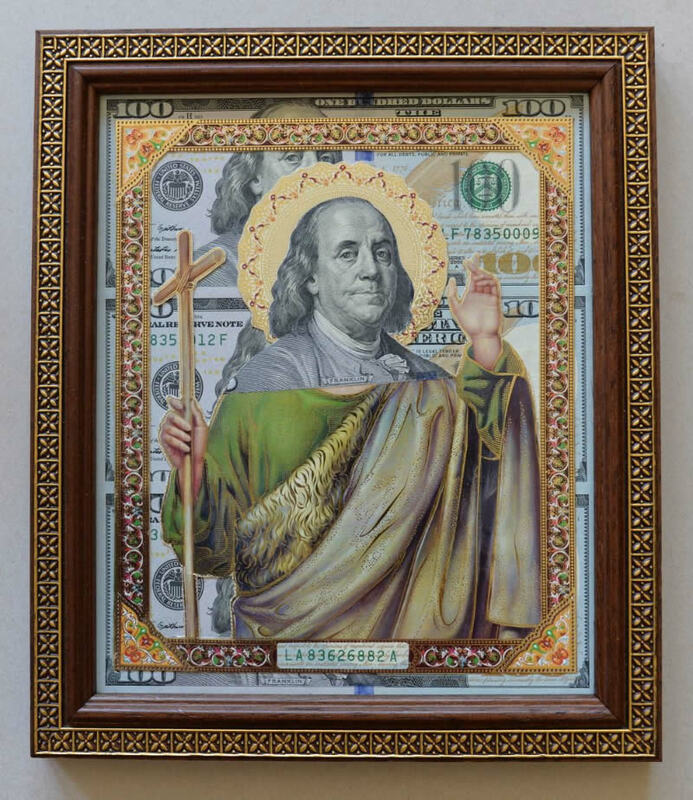 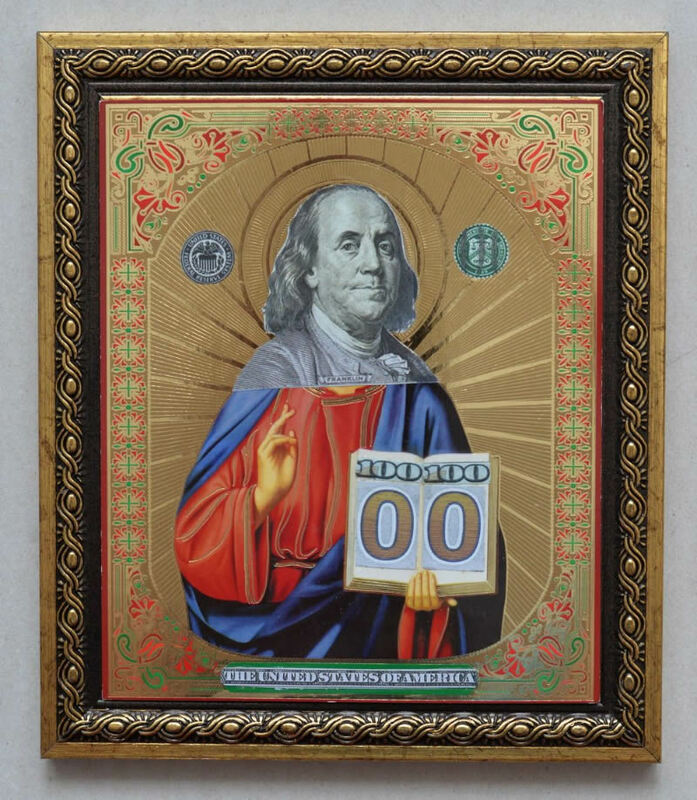 Hand-made collages combining portraits of Benjamin Franklin on the $100 bill with Orthodox Christian icons. 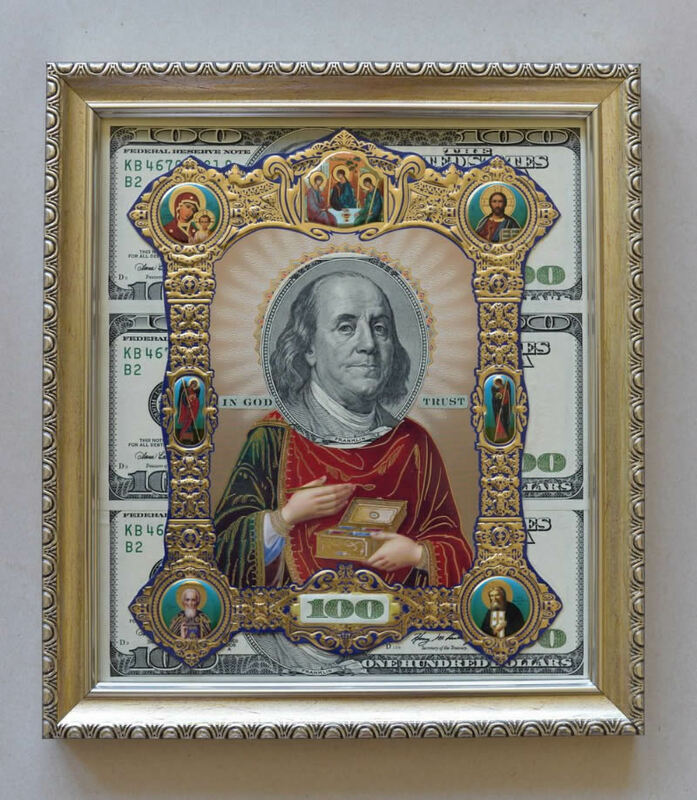 The series entitled Saint Franklin by Ukrainian visual artist Yurko Dyachyshyn replaces the faces of the religious icons with Franklin's portrait while cut-out pieces from the bill such as serial numbers and government seals are incorporated into the composition to signify society's worship of material things—that many people look towards money for happiness and fulfillment and use it as motivation to build their sense of satisfaction. 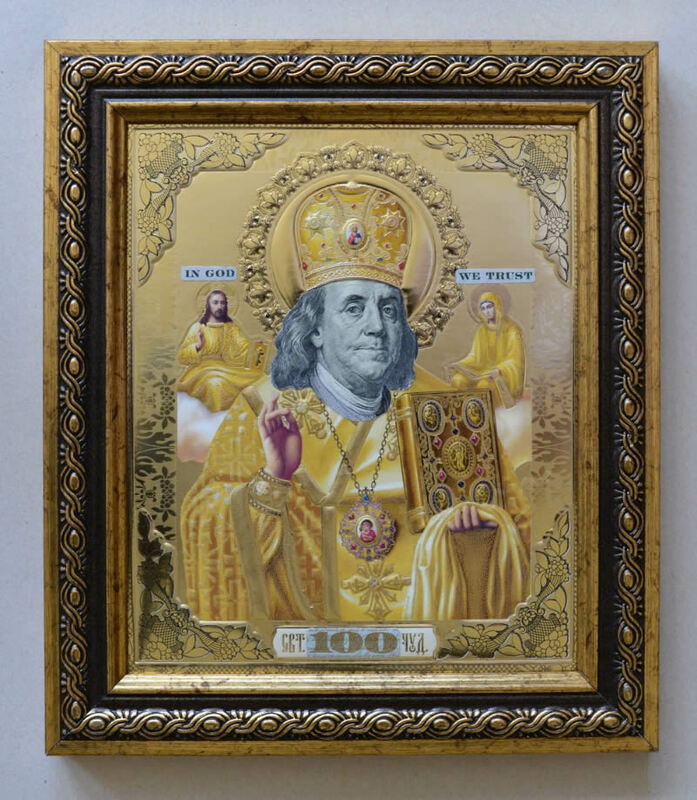 Hand-made collages combining portraits of Benjamin Franklin on the $100 bill with Orthodox Christian icons.